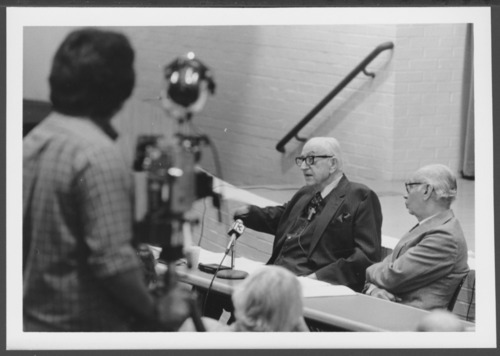 This is a photograph of Dr. Karl Menninger presenting at the Institute of Psychoanalysis 40th Anniversary colloquium. Dr. Karl is known in many circles as one of the founding fathers of psychiatry. Over the years, he produced 15 books that influenced psychiatry.